With the Rt. Rev. John Taylor, former bishop of St. Alban's and Canon Robert Sibson. 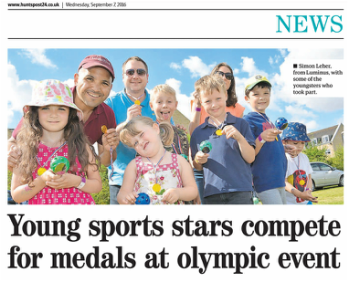 An article in the Hunts Post about the Family Fun Olympics held on 6 August. Click the picture for the full version. Eynesbury St. Mary's on the Radio! Mr. Gordon Depledge and Rev. Debbie Noonan were interviewed about the Eynesbury Giant on the Jeremy Sallis show. The interview is no longer available on-line, but we have it on file if you are interested. Rev. Debbie Noonan makes a cross of ash on the forehead of Ann Williams. Rev. 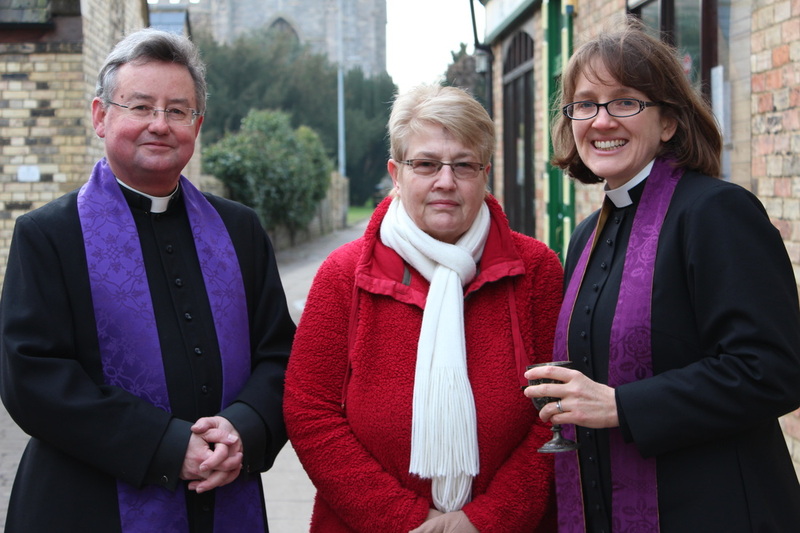 Debbie and Father Paul from St. Neots took to the High Street of St. Neots on Ash Wednesday, February 13th to offer a prayer and to impose a cross of ashes on the forehead of those walking by. They received some interested looks and questions and prayed and offered ashes to many people. Ashes To Go is a movement started in the Unites States to take this ritual of beginning Lent- a sign of our humanity and God's great love and forgiveness for us- to the streets. Rev. 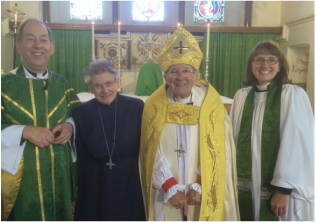 Debbie, Father Paul Andres from St. Neots Parish and Ann Williams.